O Canada tells our story from our first peoples through to our achievements in space. 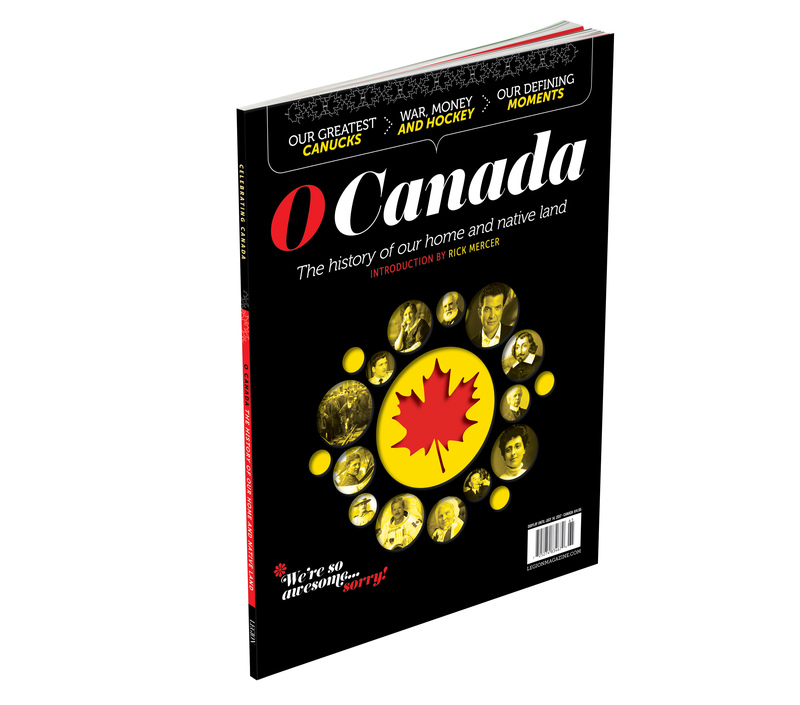 With hundreds of photos and illustrations, this entertaining magazine is full of Canadiana, personalities, achievements and amazing statistics. If you are in my business, show business, Canada 150 is seen as a great hook. It’s not just our nation’s birthday—it’s one of the big ones. The last time Canada celebrated like this was in 1967. Fifty years later we are no longer pondering man’s position in the world but instead which Canadian woman will finally grace our currency. Progress is good. It is both an honour and a nightmare to be asked to write this introduction. An honour because I am a huge fan of Legion Magazine. Everything Legion Magazine does is whip smart, unapologetically Canadian, and looks beautiful spread out on a coffee table. I know—I could be describing a young Martin Short. It is a nightmare because in order to capture 150 years of Canadian history in the 1,300 words I have been granted, I have 8.6 words a year... Get your copy today and read it all!